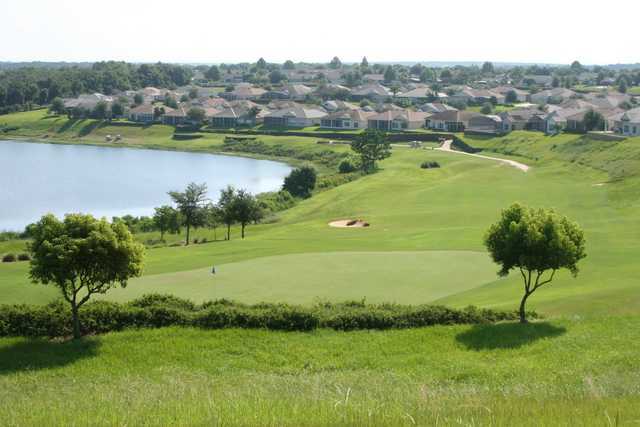 Sanctuary Ridge Golf Club in Clermont is a mountain golf course, a rarity in Florida. Its topography naturally features dramatic elevation changes that are incorporated into the challenging layout. Abundant fairway and greenside bunkering, water hazards, and mounding guarantee an interesting round. Sanctuary Ridge Golf Club in Clermont is a mountain golf course, a rarity in Florida. Its topography naturally features dramatic elevation changes that are incorporated into the challenging layout. Abundant fairway and greenside bunkering, water hazards, and mounding guarantee an interesting round. Wide fairways and landing areas offer some respite from the challenges of the game. 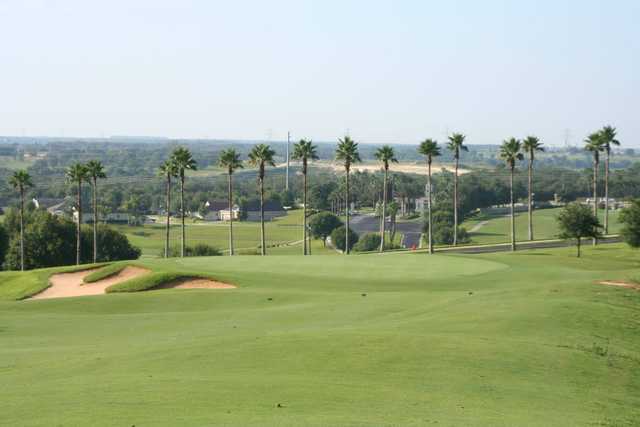 Although Sanctuary Ridge Golf Club's front nine is shorter, it possesses one of the most difficult holes on the course, the par-4 second hole. This sharp dogleg left hole is best played toward the sand bunkers that guard the fairway. The golf course also has the distinction of not featuring any parallel fairways, giving each hole a distinctive character. Greens newly sanded - found out on first green. Fairways atrocious. Could distinguish bunkers from waste areas only if you trip over a rake. Bunkers filled with foot high weeds. Will not return. Played 02/10/13 and have played this course for many years. Great layout, mountainous unlike many Orlando area courses. Greens in good shape as well as fairways. Staff has always gone out of thier way to make you feel welcome! If you haven't gone to the Clermont area to play golf, you should. 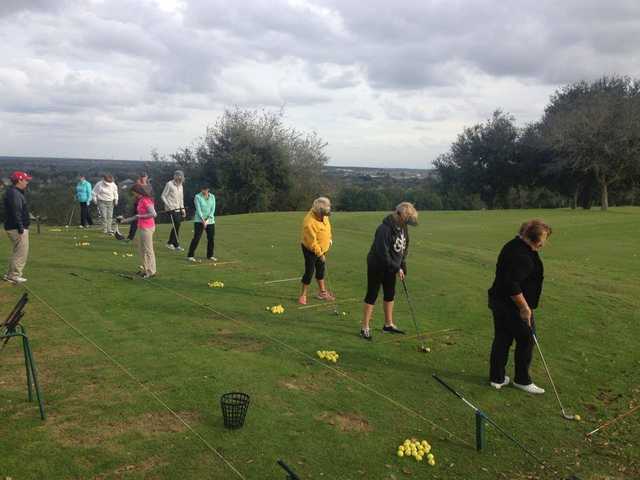 There are many nice courses up there and this one is one of the gems at a very affordable cost!